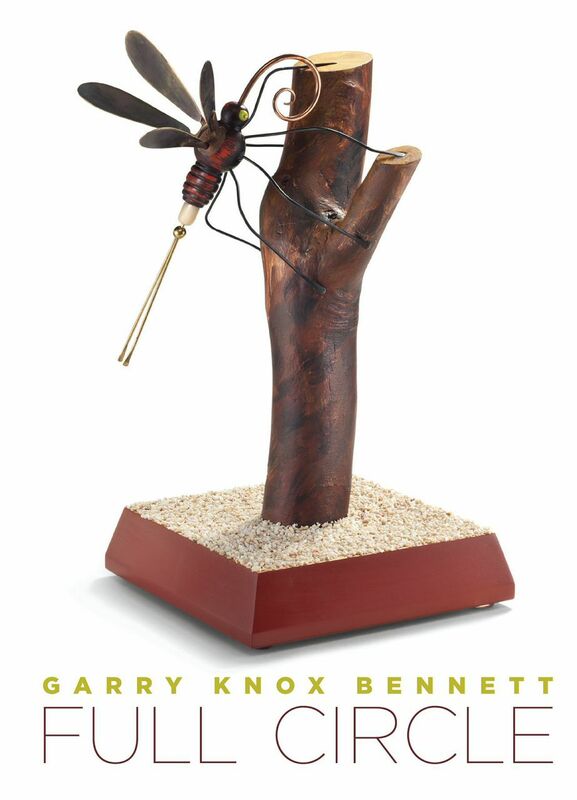 American furniture maker, woodworker, and metal artist Garry Knox Bennett has been celebrated for his innovative sculptural and functional objects for over 40 years. Garry Knox Bennett: Full Circle marks the California native artist’s 80th birthday this October, highlighting a body of new works made in the spirt of the 1960’s. 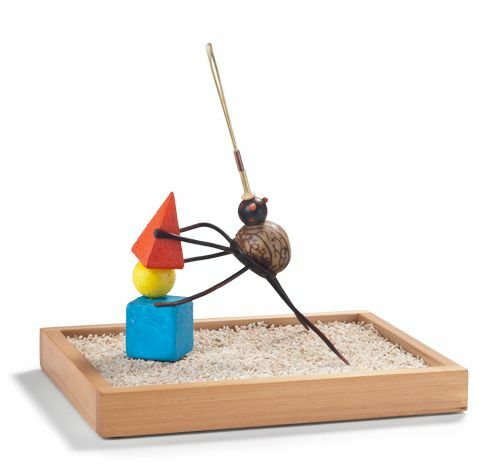 Inspired by his background as a jeweler and metal plater, the show will feature 50 sculptural roach clips, a popular item sold at the artist’s historic San Francisco shop Squirkenworks almost 4 decades ago. For one time only, Velvet da Vinci turns from gallery to head shop, in honor of Bennett’s important historic and contemporary contributions to the Craft field. 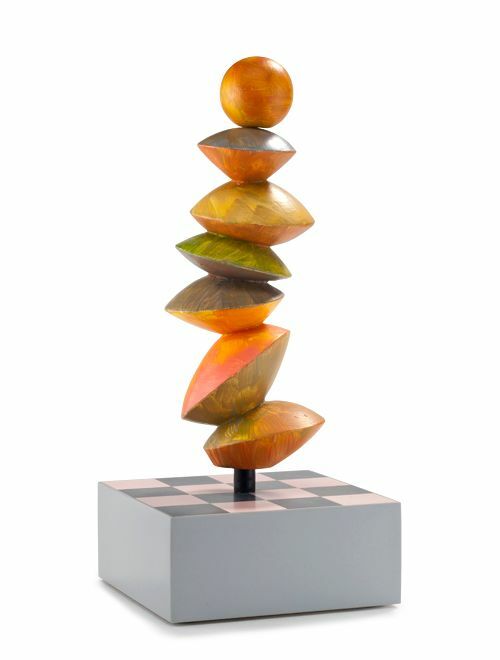 Bennett’s work can be found in the permanent collections of the Museum of Art and Design in New York, the De Young Museum in San Francisco, the Mint Museum of Arts and Design in Charlotte NC, the Museum of Fine Arts in Boston, the Oakland Museum, the San Francisco Museum of Modern Art, and Washington DC’s Smithsonian American Art Museum’s Renwick Gallery. 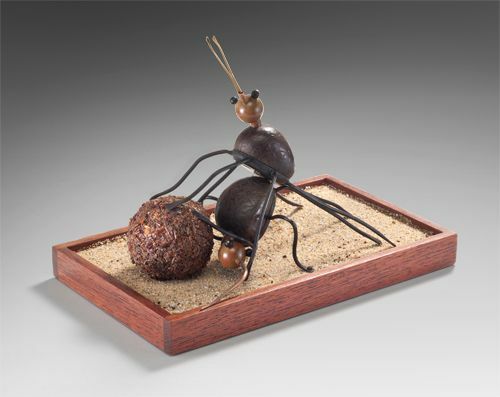 A graduate of the California College of Arts And Crafts, Bennett was featured in a solo retrospective exhibition at the Museum of Art and Design in New York City in 2001 and has been the recipient of numerous awards such as the Smithsonian Museum’s Renwick Alliance Award (2011), the Furniture Society’s Lifetime Achievement Award (2004), the American Craft Council College of Fellows (1996), and the Merit Grant National Endowment for the Arts (1984). The artist has lived and works in Oakland, CA for nearly 40 years. 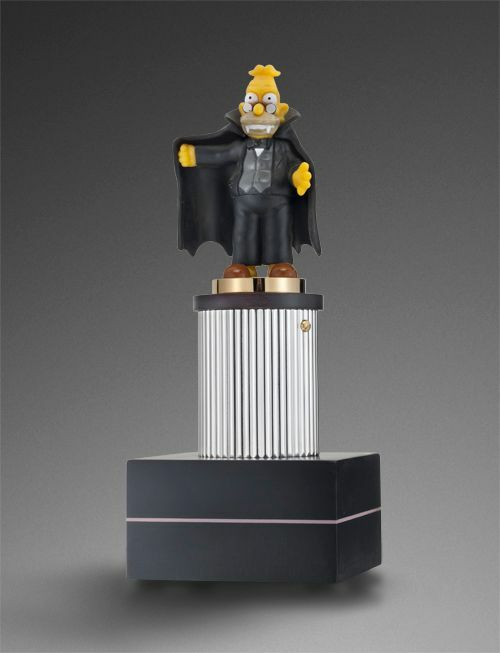 To download a full PDF Press Release for the exhibition, please CLICK HERE. 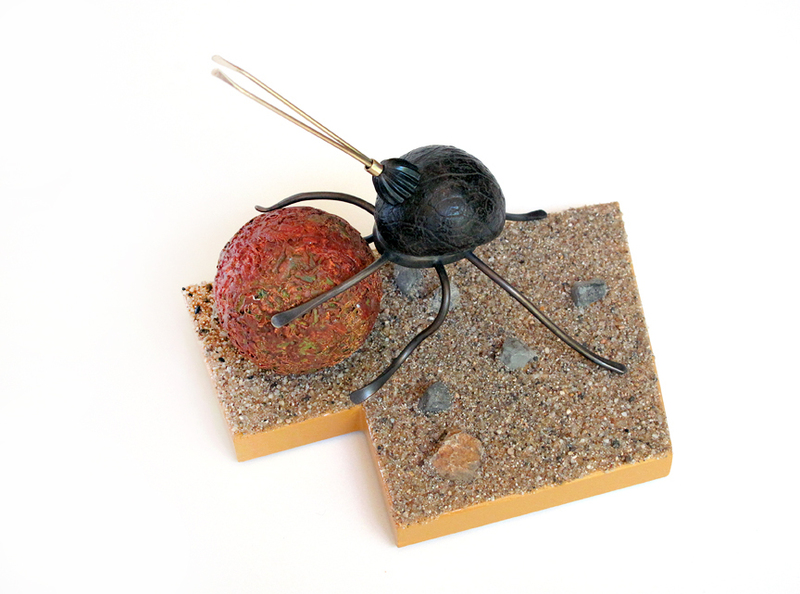 Post-Modernist Dung-Beetle, 2014, Wood, brass, Tagua nut (vegetable ivory), beads, paint, sand copper, 8”h x 8 1/2”w x 4 1/2”d. 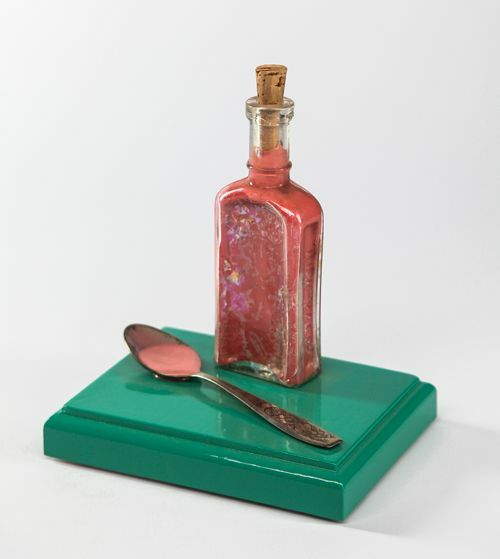 Take Your Medicine, 2014, Antique bottle, silver spoon, cork, wood, paint, 6 1/2”h x 6”w x 4 1/2”d. 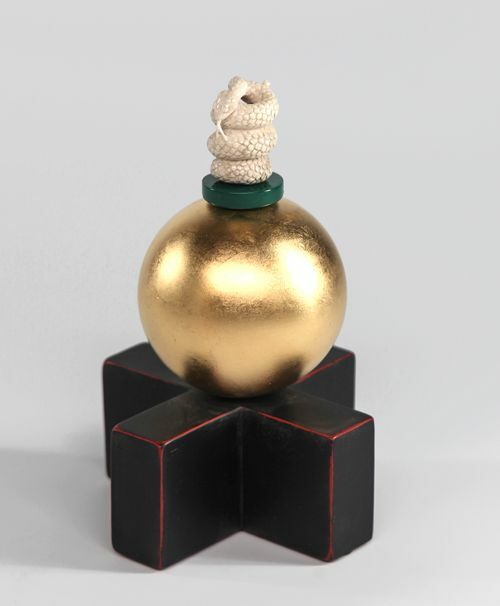 Untitled (Carved Rattle-snake on Gold Ball), 2014, Wood, carved bone, Nevamar, brass, gold-leaf, 7″h x 4 1/2″w x 2 1/2″d. Oozer, 2014, Wood, aluminum, brass, epoxy, wing-nut, washer 6 3/4”h x 3 1/4”w x 3 1/4”d. 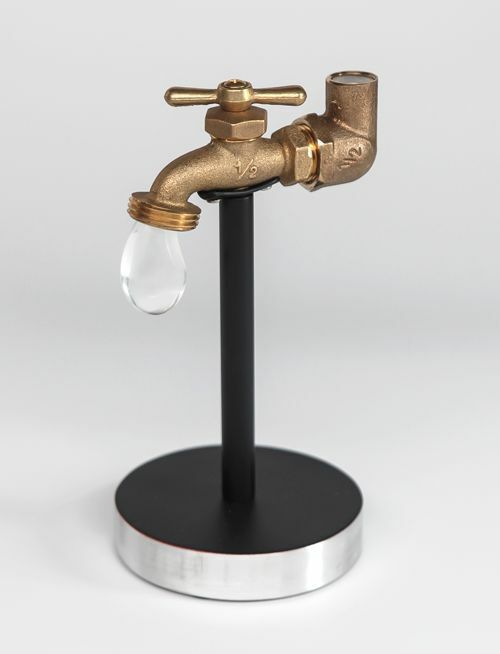 Dripping Fawcett, 2014, Brass, aluminum, lucite, ColorCore 7 1/2”h x 4”w x 4”d. 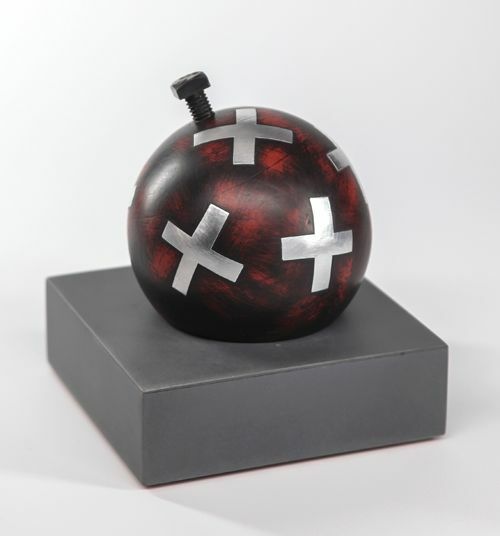 X Ball, 2014, Wood, ColorCore, aluminum, brass, bolt 5 3/4”h x 5”w x 5”d. 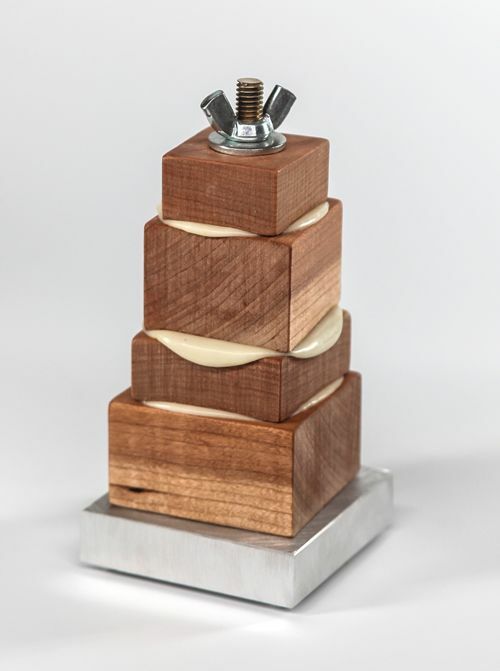 Untitled, 2014, Wood, brass, bronze – silver and 23kt gold-plating 8”h x 9”w x 4”d. 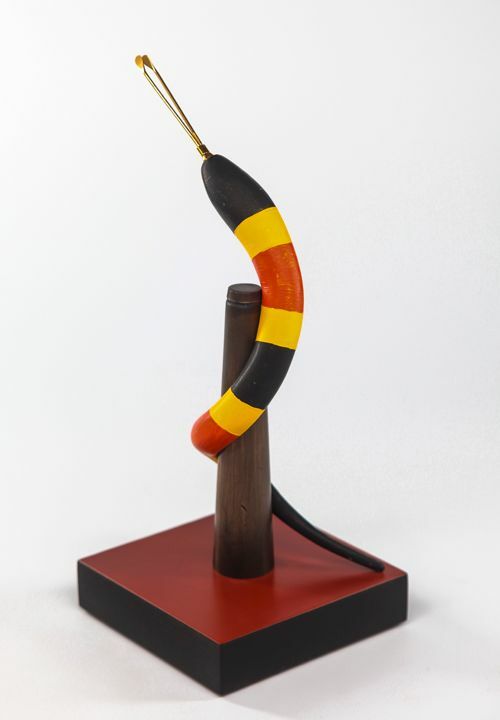 Coral Snake, 2014, copper, Bond-O, paint, 10 1/2”h x 4 1/2”w x 4 1/2”d. 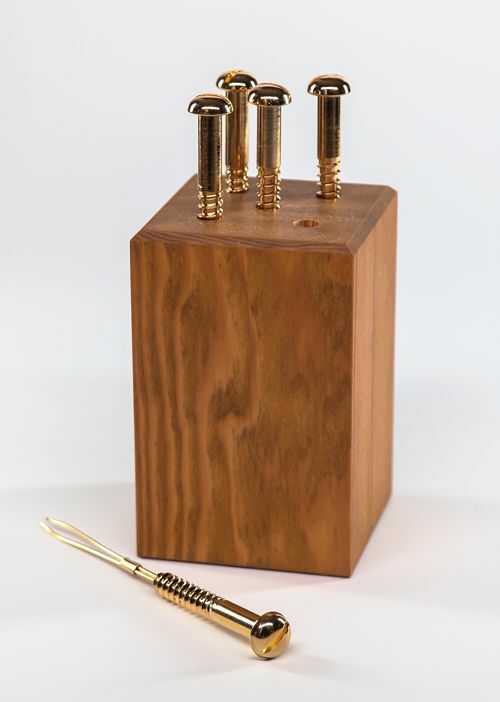 Untitled, 2014, Wood, brass screws, 23kt gold-plating 7 1/4”h x 3 1/2”w x 3 1/2”d. 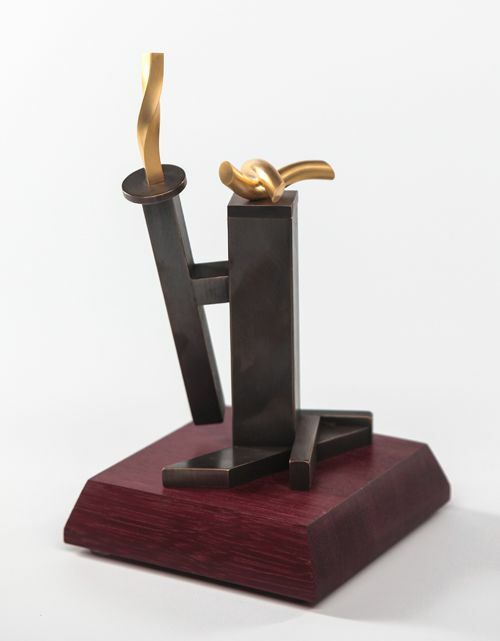 Untitled (Clip and Stash), 2014, Brass, bronze-plating, 23k gold-plating, 7 3/4″h x 4 1/2″w x 4 1/24″d. 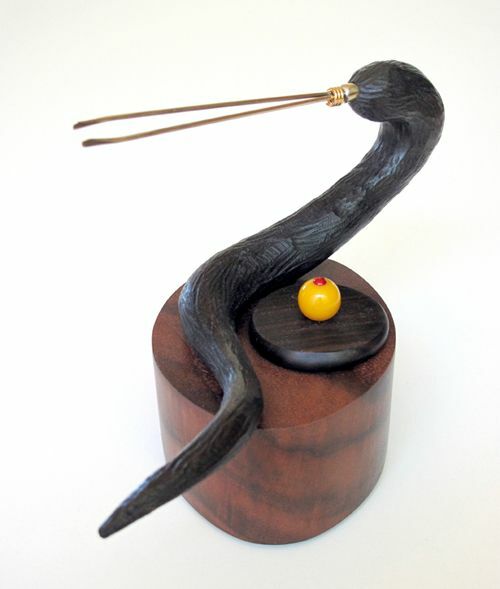 Multi-axis Spindle Twirling with Gizmo, 2014, Wood, brass, paint 8”h x 3”w x 1”d. 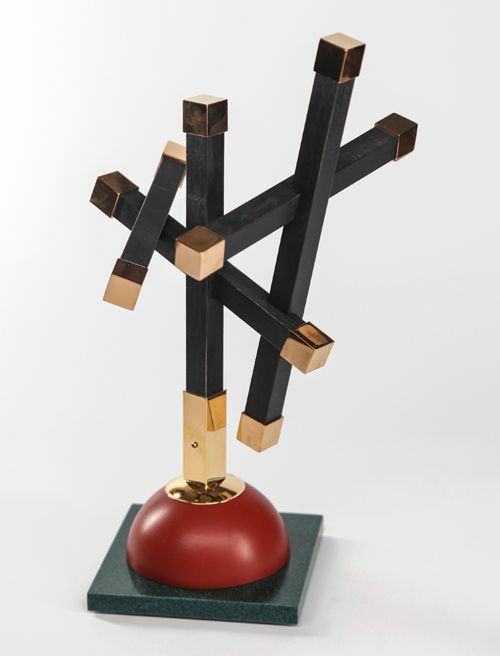 Golgatha, 2014, Wood, Nevamar, brass, copper, 23kt gold-plating 13”h x 8”w x 7”d. 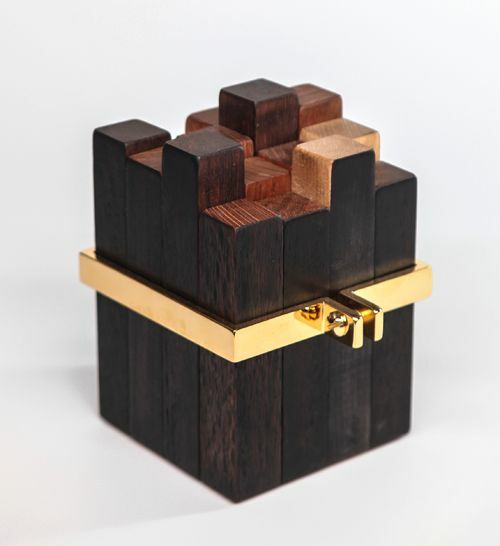 Cluster-f– 2, 2014, Wood, brass, 23kt gold plating, 6 1/2″h x 4 1/8″h x 4 1/8″d. 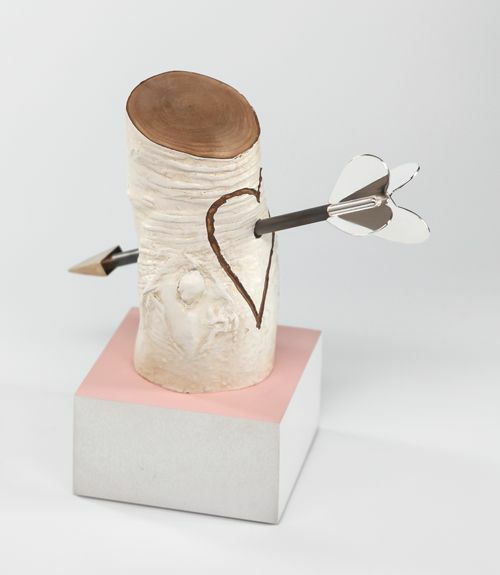 Untitled (Painted Twirling), 2014, Painted twirling wood, brass, copper, 9 1/2″h x 4 1/8″w x 4 1/2″d. 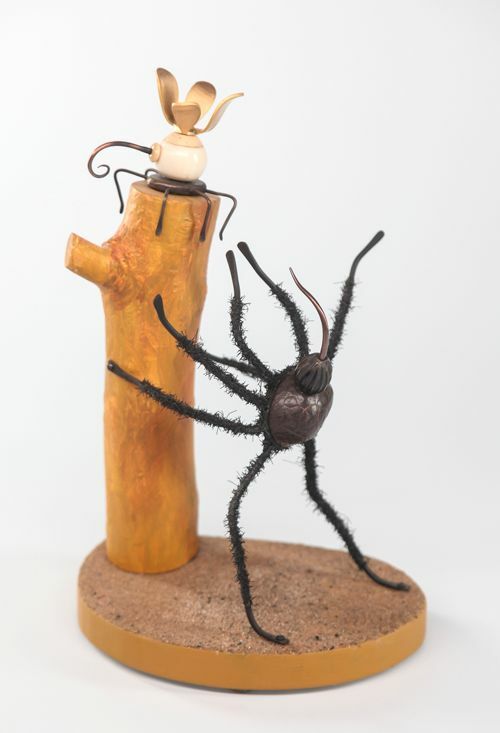 Arachnid Attack, 2014, Wood, brass, beads, sand, copper, paint, flocking, bronze-plating, 23kt gold-plating, 10 1/4”h x 7”w x 4 3/4”d. 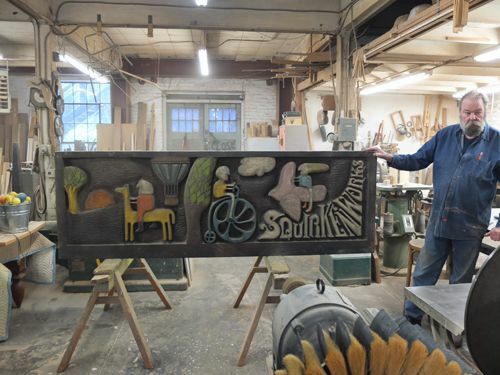 Garry Knox Bennett in his Oakland, CA studio, with the original sign from his Union Street SF shop, Squirkenworks. This entry was posted in Uncategorized by Sienna Freeman. Bookmark the permalink.